The September Festival is finally here - lots going on today. I very much enjoyed a pre-festival drink at The Sloop and then The Castle last night, with (among others) Rod Bullimore, Charles Shaar Murray, Martyn Barker and Kelvin Bowers. As Jo put it - Last Of The Summer Wine revisited - but who is Compo ? Also enjoyed chatting to various festival visitors from London, Germany and Switzerland. Saturday (11th) 12.30 pm - Poetry and Music in Norway Square (also daily throughout). Sunday (12th) 7.00 pm - Workshop - Tea and Textiles with Jo McIntosh. Monday (13th) 8.00 pm - Music and Comedy - Back to Back with Rod Bullimore and Martyn Barker. Tuesday (14th) 8.00 pm - Live music - St Ives Jazz Club - Sarah Gillespie Quartet. Wednesday (15th) 7.30 pm - Theatre - Much Ado About Nothing (also Thu, Fri, Sat). 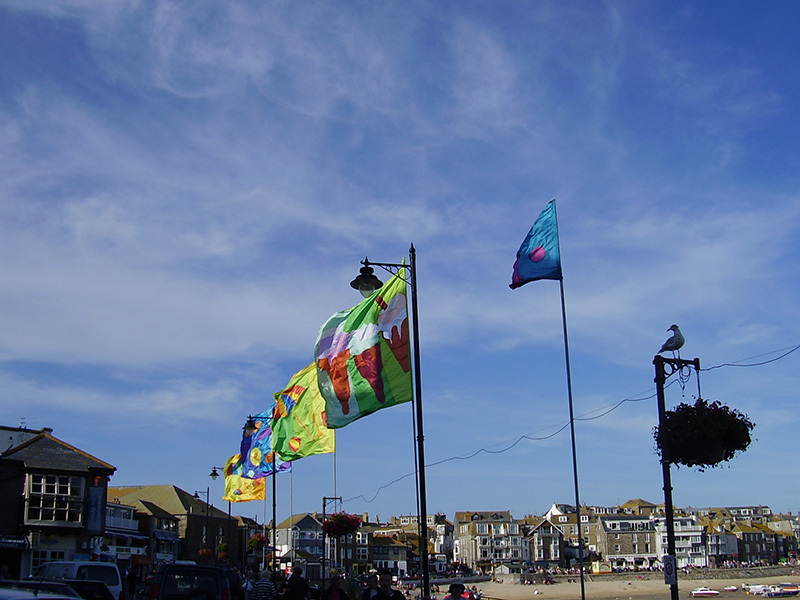 Thursday (16th) 11.00 am - Guided Tour St Ives In The Frame. This is my favourite time of year, I love taking part! Thanks Karen - will you be doing any readings ? 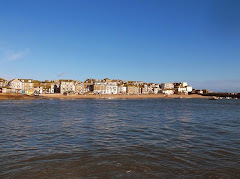 Hi Steve, dont know if you remember me from a few weeks back, we have just returned home from another fabulous 2 weeks in St Ives, love the place, we stayed in Mathews Cottage. Them 2 weeks have confirmed even more to us just how much we would like to relocate to St Ives and since our return on Saturday i have spent many hours doing job searches and even small businesses for sale. Like i said in my last message to you, we want this very much, its just a fantastic place for us to bring our 2 young children up (age 8 and age 16 months).